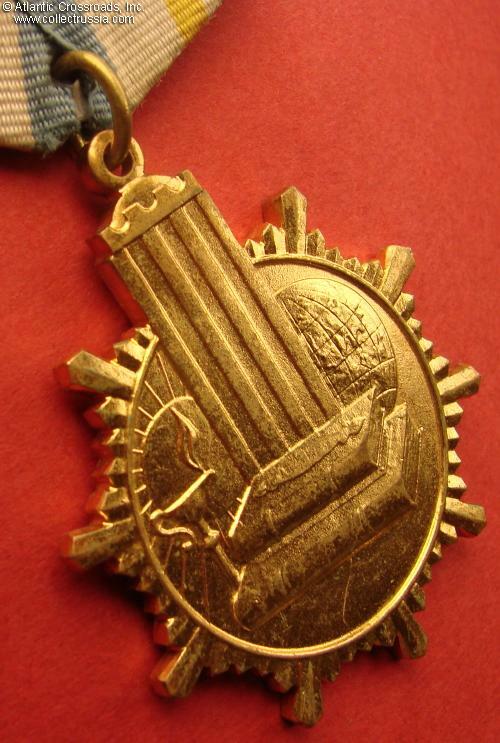 Order of Sayed Jamalludin Afghani, circa 1980s. 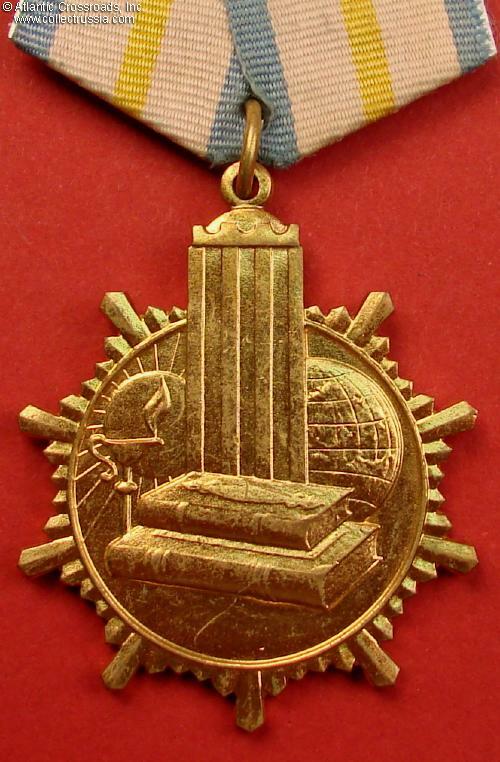 Gilded brass; measures 52.4 mm in height, 42.2 mm in width.. Shows two books, the monument to Sayed Jamalludin at the University of Kabul campus, sun symbolizing knowledge, and globe (symbolizing his travels or possibly his - supposedly - tolerant views). 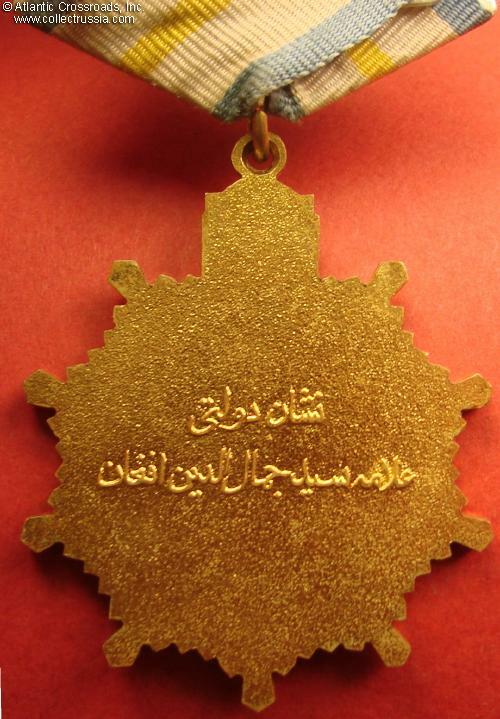 Reverse is inscribed "Governmental Order of Sayed Jamalludin Afghani". In excellent condition. 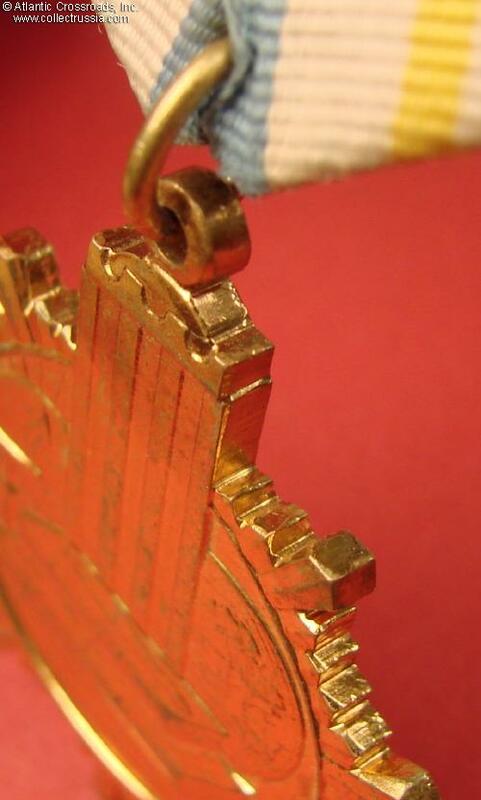 The gilt finish and details are perfect. Comes with original old ribbon showing wear along the edges but still sound and clean. Sayed Jamalludin was a XIX Century Afghan writer and a leading figure of the pan-Islamist, anti-British movement.